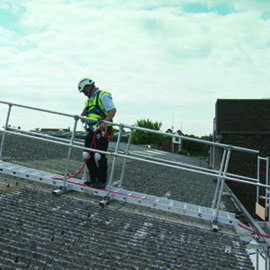 Board-Walk is a lightweight, portable aluminium walkway to allow access for short duration maintenance tasks on fragile roof surfaces. 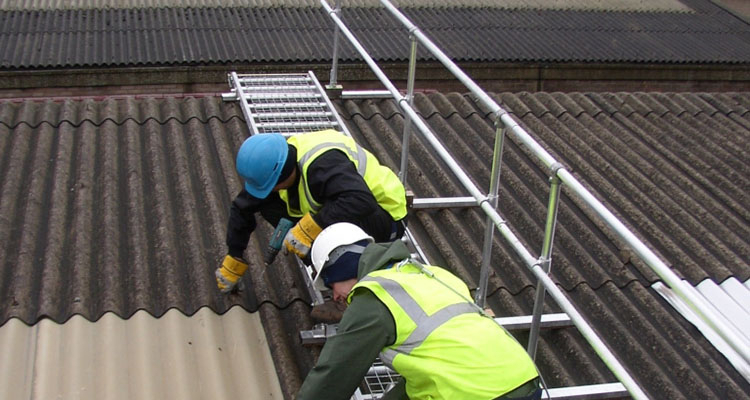 Specifically designed for accessing pitched roofs, the open mesh walkway allows access from eaves to ridge distributing the load on support battens and allows you to bridge fragile roof surfaces and raised sections. Made from high grade aluminium, its portable lightweight structure and modular design makes installation an effortless affair. 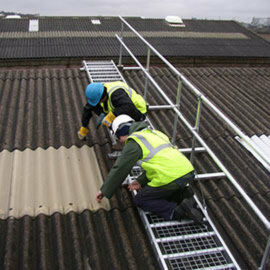 Simply construct the sections using each section as a stable work area to lay the next. 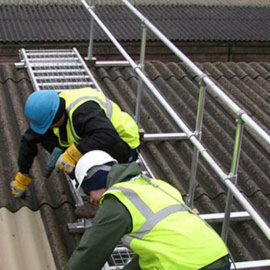 Available in 4 or 2 metre sections with an integrated work positioning line, they are designed to be easily linked to create longer sections. 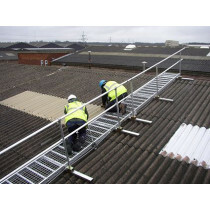 Board-Walk is available with optional single or double sided handrail, ridge hook and valley stop end. 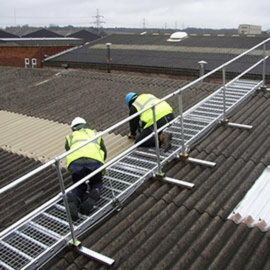 Board-Walk is an open mesh walkway designed to allow access on the roof from eaves to ridge while spreading the load on support battens. This provides a safer working position for the user.